It is snowing again today. Just ever so slightly but everywhere I look there is already a winter wonderland that is showing no signs of moving. I guess it is going to be that kid of winter which is fine with me, I guess. I have no events to train for and am trying to get my knee healthy (which is improving rapidly while the other one is starting to decline) and focus on work (need some work done? see my 'sponsor' to the right and call me). 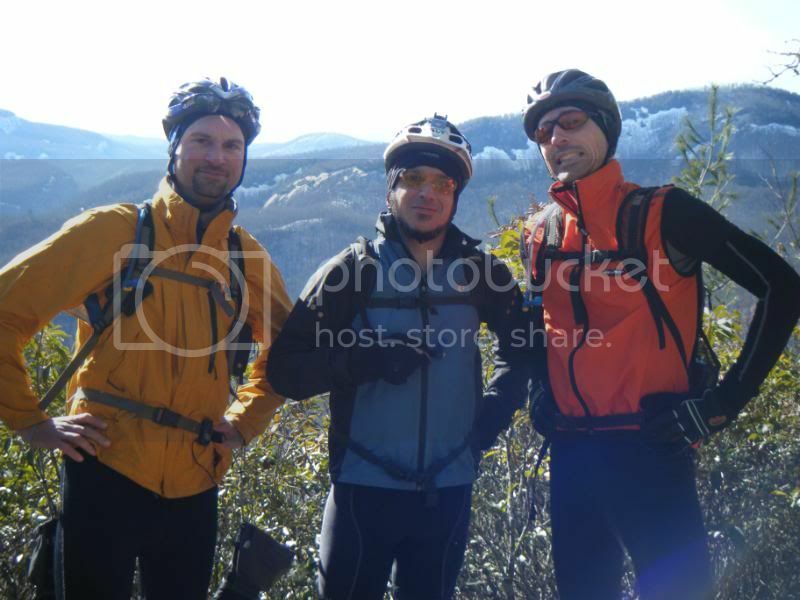 It is hard to believe I met up with Zach and Dennis for a very nice little Sunday afternoon Pisgah ride. With nothing to train for we slept late and rode slow. It had snowed on Saturday but had actually managed to mostly melt the same day and with temperatures staying below freezing Sunday was as perfect as Pisgah gets. 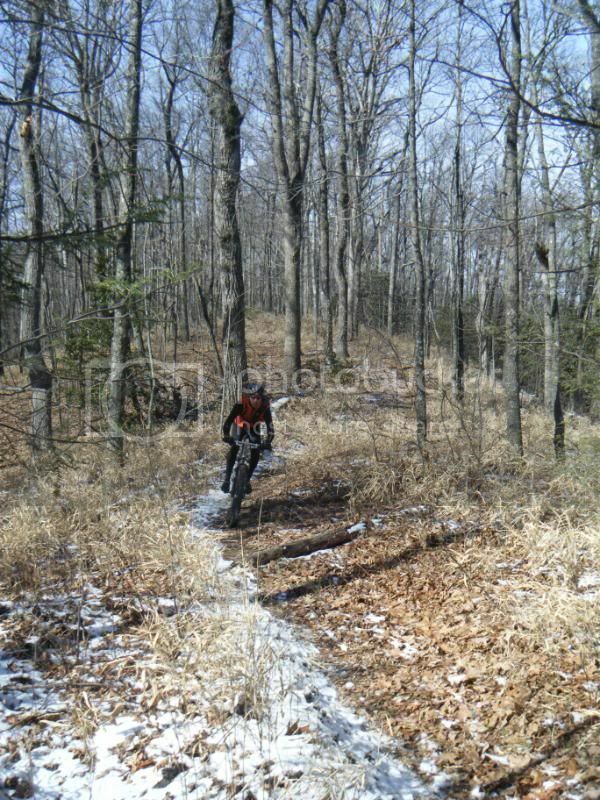 With the ground, and mud, frozen traction was perfect and you could just fly through the woods. This was the good stuff. As we started up 477 another rider, Jeff from Indiana, caught up to us and asked if he could tag along for awhile. He had just rented a bike from the Hub and was headed for the Top of Black but we were headed for Bennett and I convinced him to ride with us. We stopped at the gap for a beer break and when he wasn't scared away by our sordid brand of humor all three of us started wondering just who this guy was. He even had some jokes of his own and seemed to be a perfect fit for the wndc. We took him down Bennett really fast and it was too much fun but we weren't able to convince him to go back up again and the rest of the ride wasn't the same without him. We went up Maxwell Cove at what felt like a fast speed but likely wasn't and hurt way more than it should have and then I used my hurt knee as an excuse to hike slowly up to Hickory Knob. But Black was screaming fast and the traction was perfect and it was all worth it. Just like it always is. We headed back to the Hub where our new friend Jeff was hanging out so we all got to enjoy a pint together. If you happen to be reading this Jeff we do hereby declare you an honorary wndc member. I think you have to make it to an actual Wednesday Night to get any stickers but you'll have to talk to Broussard about that if you are so brave. In the likely event that you move here you can have Jonathon's spot in the club. He is sort of a founding member and arguably at one time played a vital role but he just had a kid and can't do anything anymore so his spot is sort of open. Damn Daddy H8N on Lerol-ya! Need a guide? Call Joe! Tell him I sent you!